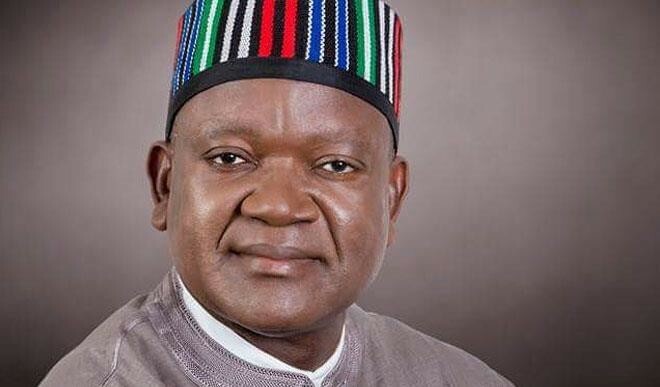 Benue State Government on Wednesday, said it had received information about a “secret plot” hatched by the All Progressives Congress, APC, in collaboration with some officials of the Federal Government. It said the plot was to arrest and detain some of key members of the Peoples Democratic Party, PDP, considered to be close to Governor Samuel Ortom. Ortom’s spokesman, Terver Akase, in a statement, said persons being accused of “gun running are Hon. Abraham Kwaghngu, Hon. Anthony Shawon, Mr. David Tsevende, Dr. Cletus Tyokyaa, Hon. Avine Agbom, Hon. Matthew Mnyam, Mr. Raymond Asema, Hon. David Iorhemba and Hon. John Enger. It added: “No convincing reason has been given for the planned arrest and those to be apprehended are not likely to be arraigned in court. The move is part of the ongoing persecution of Governor Ortom since he defected from APC. “With the Governorship and State Assembly elections just three days ahead, the plan of APC is to intimidate the Governor and his teeming supporters and pave way for flagrant rigging of the polls. “APC has seen their defeat coming and the only way it feels it can avert losing the elections on Saturday is to manipulate the electoral process and harass PDP members by indiscriminately arresting them. “The plot began on the day of the Presidential and National Assembly elections when the Chief State Collation Agent of PDP, Dr Cletus Tyokyaa was arrested and taken away only to be released days later without any charge brought against him. “We urge the Federal Government to shelve the planned arrest of the above named persons and any idea aimed at throwing Benue into political crisis. The people of the State have suffered enough attacks and do not deserve another round of oppression. “We are also aware of the plan to use security operatives in plain clothes who will visit polling units and disrupt the process, particularly in areas considered to be strongholds of PDP. We advise the Federal Government to resist the lure to carry out this plot as it will be counter productive.